Never a truer sentence was written with regards to dogs as well as humans. There is a confusing amount of dog food on the market. You can now buy a food for each stage of your dog’s life, if they have joint problems and if they have allergies. 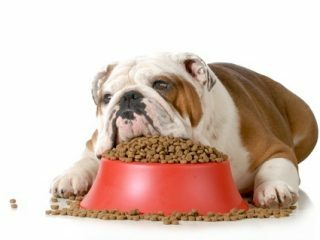 When looking at diet for your dog it is wise to look at it in the same way as you would look at a diet for yourself. Try and choose a diet with fewer additives, colours and preservatives. Dogs do not really care what colour their food is or what shape it is, as long as it is edible. Various colours and shapes are there for your benefit and not your dog’s. Dogs need fat in their food and fat quickly goes rancid if left unpreserved. Dog food companies vary on how they preserve their particular brand. Some use vitamins to preserve, some use synthetic vitamins and some use a varying range of preservatives. Some preservatives have been implicated in causing behavioural problems, aggressive behaviours, short attention span and an inability to learn. It is important to understand that not only do colourings and preservatives affect behaviour but the quality and quantity of the protein source can also have far reaching consequences on behaviour. Too high a protein content or a poor protein source can all be implicated in causing behaviour problems. When investigating diets, try and find one that has a good meat/fish protein source and less cereal added. If you own a working breed, do not buy a diet specifically for working dogs unless your dog is actively working. 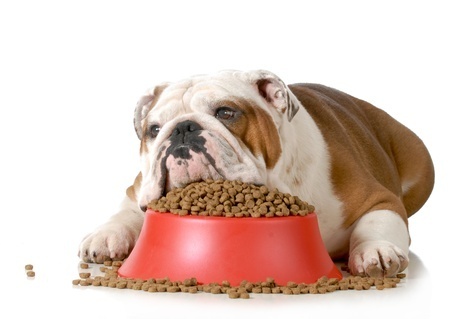 There is far too much protein in these diets for the sedentary life style that a pet dog lives. This includes ex racing greyhounds – they are no longer working and so do not need working food once they retire.